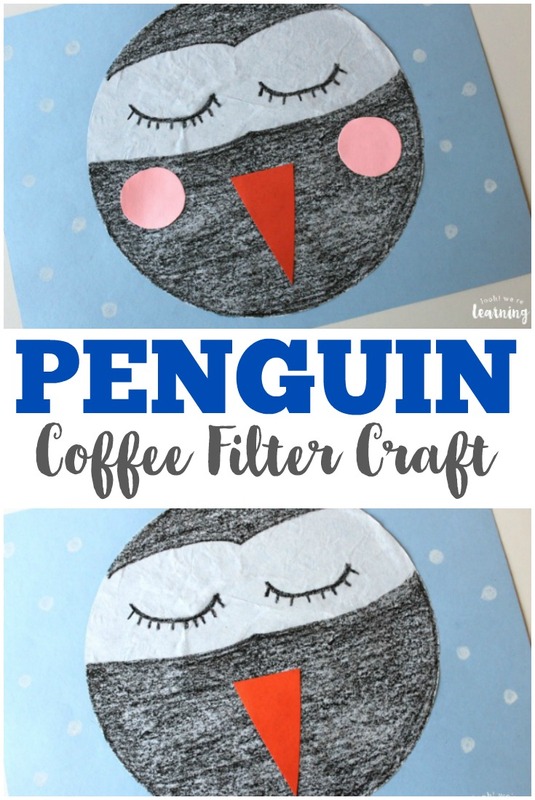 Coffee Filter Crafts for Kids: Coffee Filter Penguin Craft - Look! We're Learning! We live in Georgia. So if we want to experience real winter weather, we usually have to travel pretty far north. Naturally, there was no way we would ever see penguins in their natural habitat. But we did get to visit the Georgia Aquarium a few years back and when we stopped at the penguin exhibit, we got to see them running around, diving into the water, shooting through the water like rockets, and more. It turns out that penguins are pretty entertaining. 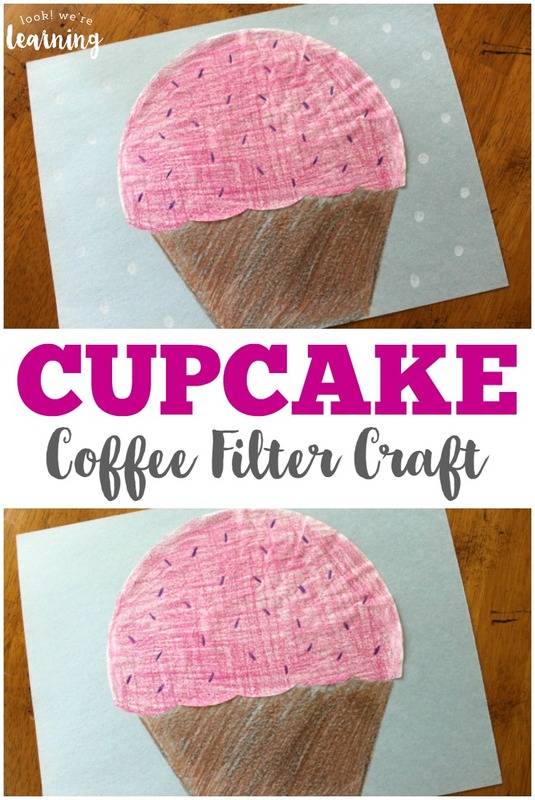 We’ve gotten to make a few animals as part of our coffee filter crafts for kids series. 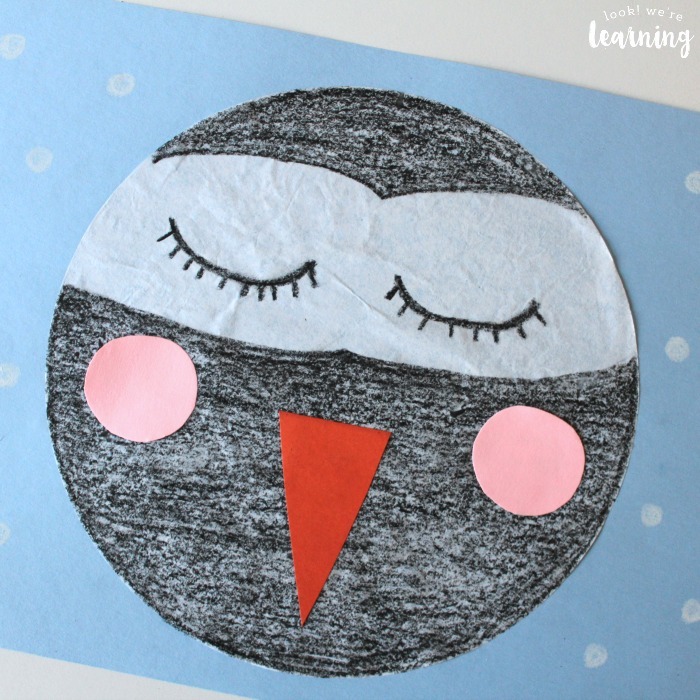 Now that winter is here, we had to add a coffee filter penguin craft to the mix! 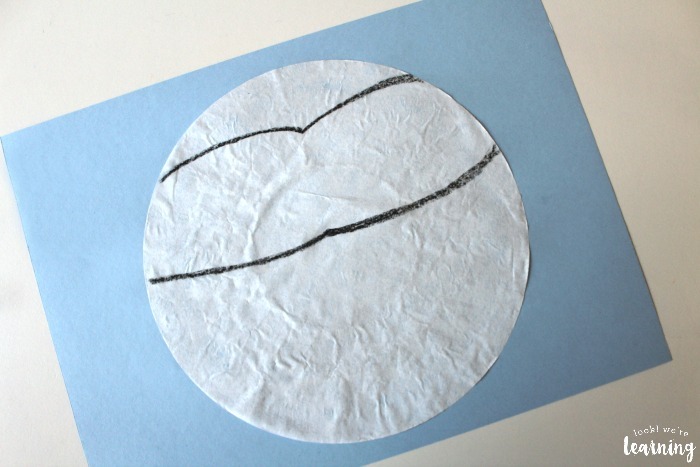 Read on to see how you can make one with your kids too! 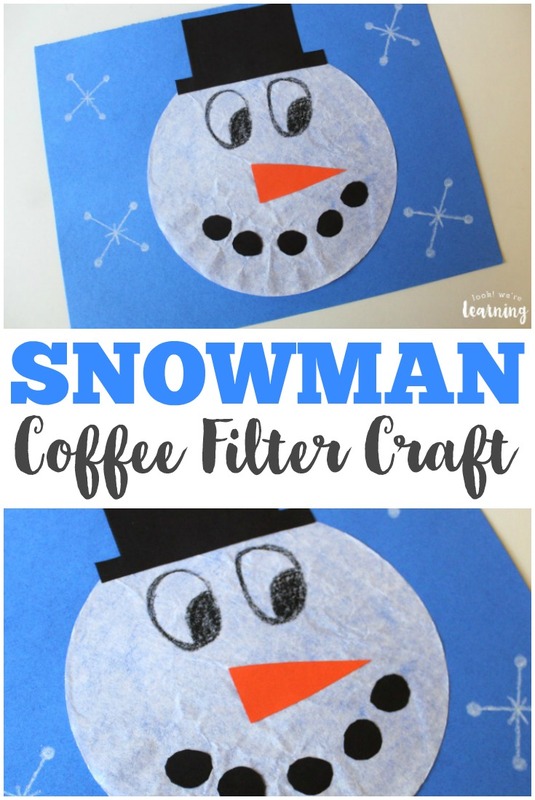 When you finish making this, add more of our winter-themed coffee filter craft projects! 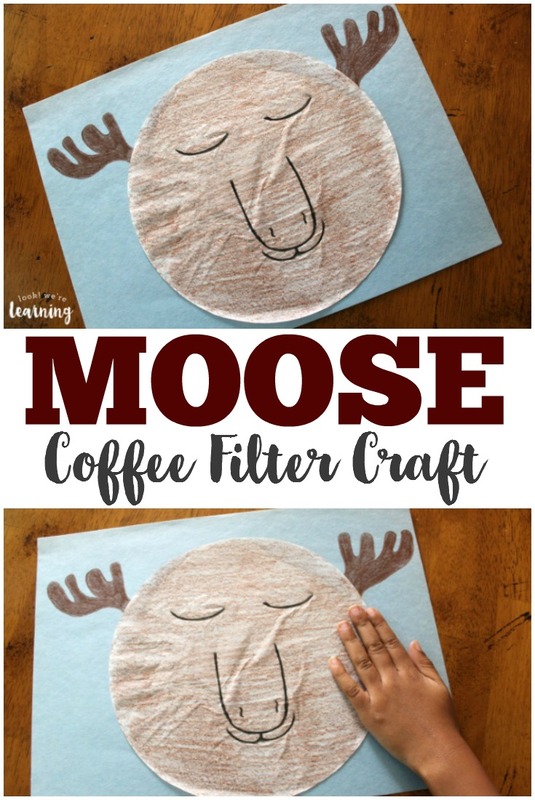 You can make a coffee filter moose craft or a jolly coffee filter snowman too! Color the spaces on either side of those lines black. 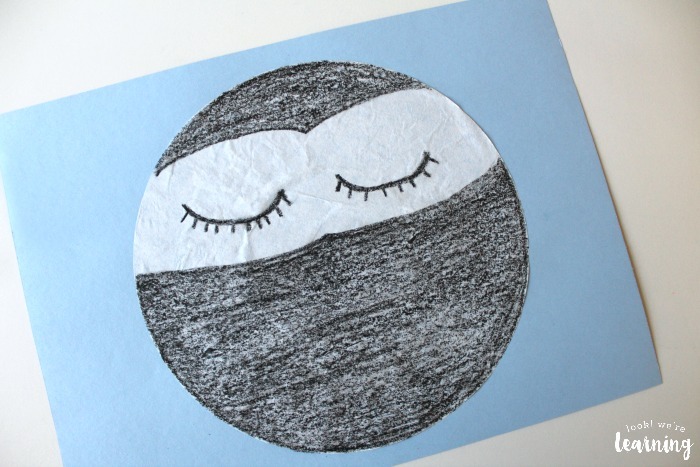 Our penguin is pretty sleepy, so we drew it with eyes closed. Then we used the safety scissors to cut a triangle out of orange construction paper. Then we glued it in the center to form the beak. Finally, we added a few falling snow flurries in the background. At this point, you could really be finished. 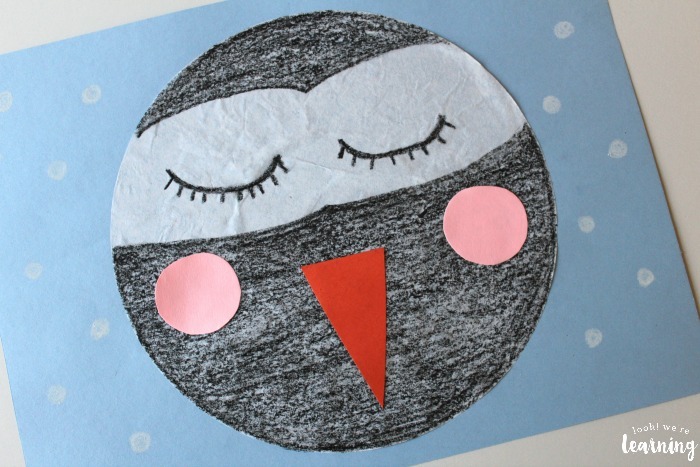 But we wanted to make our penguin into a lady bird. So we gave her two blush circles on her cheeks out of pink construction paper. Isn’t she lovely? 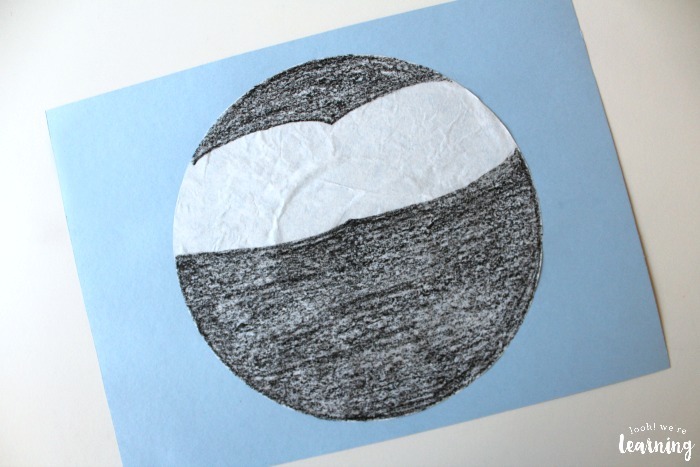 Love this craft? 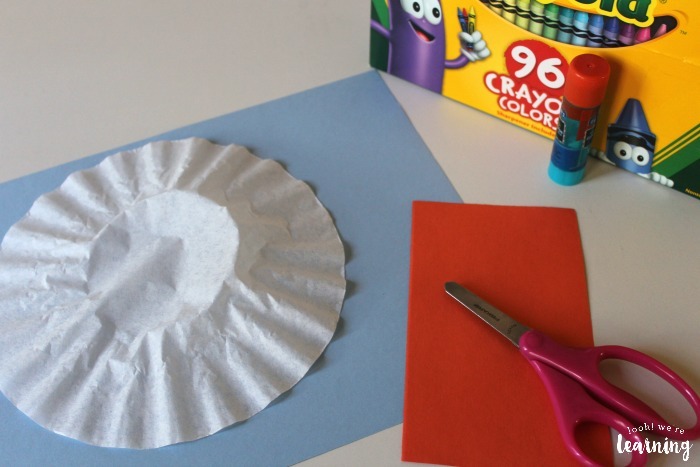 Try these other simple projects for kids! 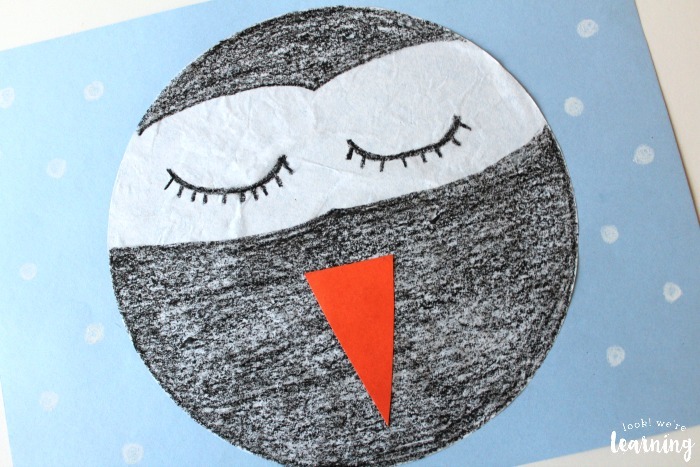 See even more cute crafts on my Simple Crafts for Kids Pinterest board! 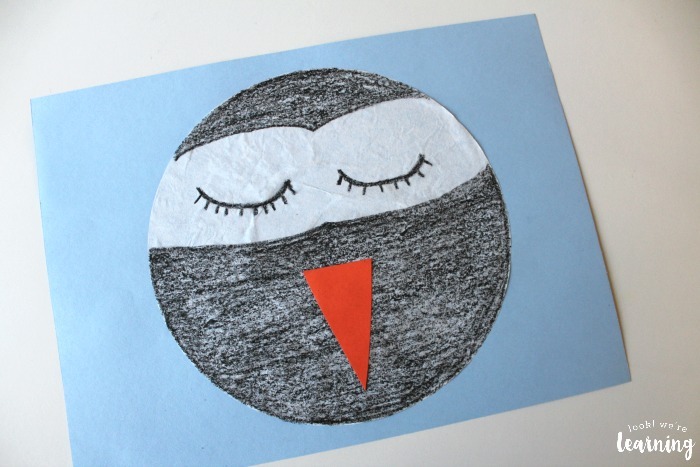 Want to get fun kids’ crafts and projects in your inbox? Sign up for our email newsletter using the widget below!